Autumn leaves in the breeze as pretty as you please. We should be grateful to see it, thankful to meet it and hopeful of what it will bring. There is something special about this season, there is more than just one reason. We’re faced with what we have done with the time. Whether our failures outweigh our successes or not, we are faced with reality albeit it cold or hot. In the fall we take responsibility for these things. For reflection is the view of the day, as we’re planning to be in a better position anyway. Don’t be too hard on yourself. It’s never all of your fault. To be in a situation you don’t like is a mental health offense. Your reasoning benefits someone else. 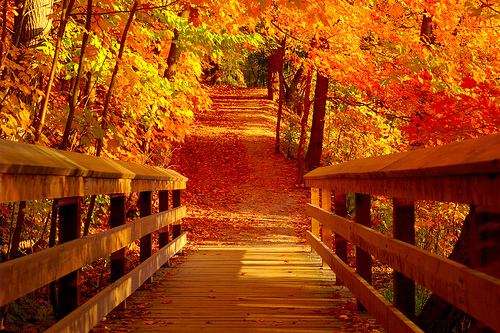 One of the greatest uses of Autumn is the timing. It’s time to leave unproductive things and people behind. We use the Winter to recover and focus on what’s ahead. By Spring we’re doing a new thing and the Summer is full of nothing but fun! Previous Post Would you dare to die? Hi dear brother you remind us of the nice moments we had in Sandusky. In Zambia we are bracing for the rainy season which is just starting and ending in April 2012. It is great to hear from you and know that you and your family are well. Thanks for sharing and please stay in touch.